You have to read my heart. You won’t want to miss out on all of the amazing projects we have on display. And don’t forget, you don’t want to miss the opportunity to purchase the stamp set either! We have plenty in stock, but in the case we do sell out, you can still place your order, with it shipping in 2-4 weeks. Your credit card will not be charged until your order has shipped. With the versatility of this set, it will be worth the wait! So don’t forget! TONIGHT MIDNIGHT EST! www.papertreyink.com! What a classy looking valentine! And, like you said, the verse you used is perfect for the inside heart. Very nice! I can’t believe that I am the first to comment. What a beautiful card! I am excited to see the cards that all of these talented women make with the set. I visit each of their blogs and think they are wonderful. How exciting and your design team includes some of my favorite stampers! Cannot wait to see everyone’s ideas and best of luck with the launch! Another very pretty piece of work…oh, and sorry about missing the “h” in your name in my posts…I only realized it now! Thanks Nichole…good luck in your new venture! I’m seriously considering sitting up for the unveiling! Love your work! Beautiful card! Wow …. what a design team! Can’t wait to see the new stamps and gallery of samples. Thanks so much! what a fun valentine’s day card! Such a nice idea for a masculine card. I love the verse. Also design team has some of my favorite stampers. Can’t wait to see their creations too. Another amazing card! Best of luck with the launch of the stamp set. We’re all anxiously waiting to see the entire set! great card – simple but fun! I might have to try this for my daughters birthday. Can’t wait to see your new stamps! Beautiful! I can’t wait to see these stamps!! Beautiful card and a wonderfully moving poem. I just wanted to say good luck Nichole, not that I think you will need it! What a great card! thanks for the instructions (I printed it out) will have to give this one a try. Another beautiful creation! Can’t wait to see this set! Thanks for sharing the template for this card too. Very nice pocket card! Can’t wait for the unveiling of the stamp set. . .and looking forward to your design team creations! Oh my!! That is fabulous!!!! Beautiful. I think I might have to start doing some things in RED. That color is standing out to me for some reason lately. Love the paper too! Did you adapt the words from “Listen To Our Hearts”? It’s a song we sing at church and sounds so much like it! The excitement is mounting! OH, and I bet your husband loved the card! Ooh-ooh-ooh! How adorable!! Love the design and concept. Beautiful card. Love the poem – may have to CASE this for my dh. Your card is lovely. I really like the verse that you put in it. Really nice card!! I am going to try my best to be here at midnight! 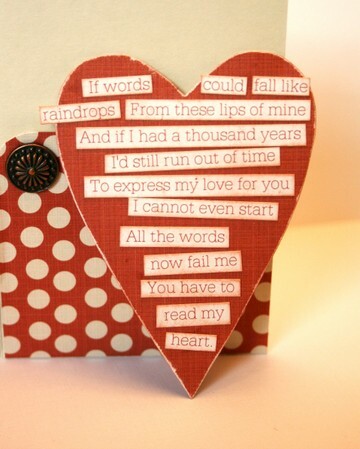 This is so cute and apropos for Valentine’s Day! I really can’t wait to see the new set after all the amazing samples you’ve shared with us! Thanks for another great template and Happy Valentines Day! I love this pocket! I CASED it and gave it to my hubby (david) as well!!! Thanks for the inspiration!! Gorgeous card, and thanks for the template. I am so excited to see your new stamp set! Debbie Olson referred me to this site, and I am loving what I see. I can’t wait to see what she does on your DT. Looking forward to lots of new designs! I love this one!! so nice!! Your work is marvelous & inspirational … can’t wait to see those stamps. 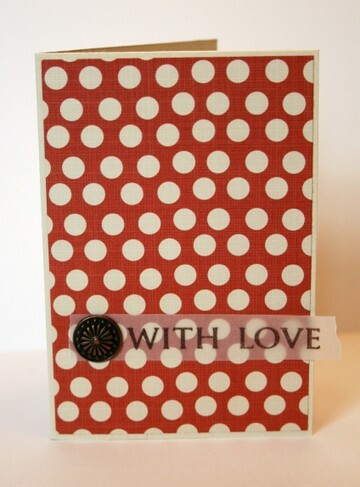 I loved the polka dot paper on this card. I hope your husband liked his valentine. I can’t wait to see the new stamp set. Another great idea. I’m looking forward to your stamp set reveal!! All I could think of was “minnie mouse” and all things Disney with your fun Valentine card design….must be all those years I spent working with d’mouse. Can’t wait until the debut. Congratulations! Awesome – can’t wait to see the stamp set! Love this card and especially that verse…wow! Wow, what a wonderful card!!! Just beautiful. Love the pocket cards! Hi Nichole! I love your work. I have done several cards that have been inspired by your work in papercrafts. Belinda is my SU upline and she told me about your new line of sets. I am so excited to see your first one! Congratulations! Precious card! I love the way you displayed the poem on the heart. I so much enjoy each of your creations. Thanks for sharing them with us. Happy Love Day!! Wow! I love this valentine – very masculine. Any guy would like it. How sweet! Thanks for sharing it and the template, too. how nice of you to put the pdf for all of us here! that is a gift itself! love that! now for a real treat- I would love to know how you did that! cool idea! Thanks for sharing your wonderful card with us.Good luck with your new venture. 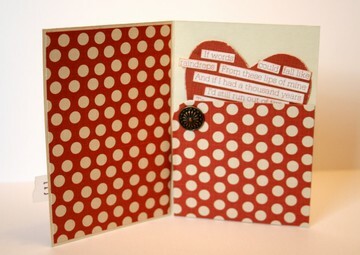 I love DOTS – they are my favorite! Well, stripes, too. This is very cool! I know he loved it! I just found your site today. Congratulations on your new stamp release. I can’t to see the set (just another 1 1/2 hours!) You must be so excited! You have a wonderful fresh and amazing papercrafting style. 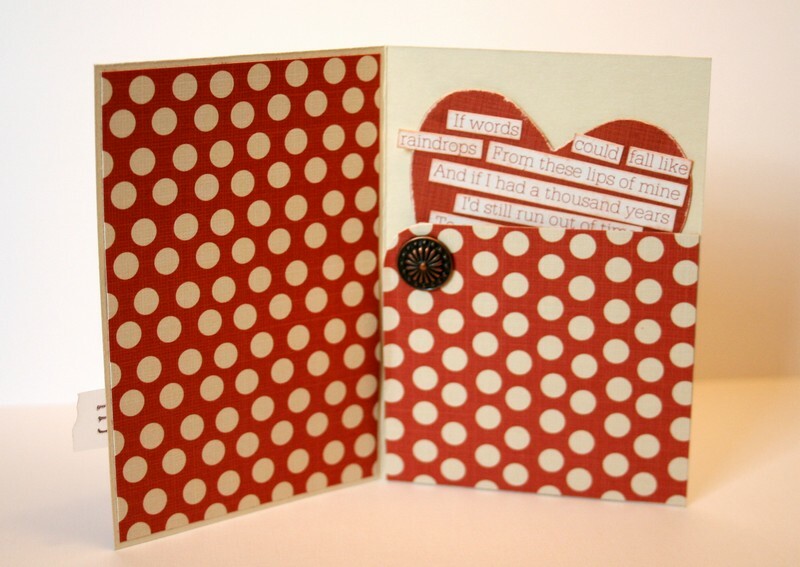 Love the card…You are so generous to share all your ideas and templates, too! Great group of designers you have there! I can’t wait to see the entire set and the updates on the website. Good Luck! i like the verse and the card is really cute! Can’t wait to see your new stamp designs! Great design team! I can’t wait to see all the creations! I’m seriously considering staying up late just to see the new stamps. How fun! Great card too, btw. I bet he loved it! Love this card for your DH, and thanks for providing the template too!! Great choice on your design team – I can’t wait to see what they come up with!! And, CONGRATULATIONS to all the designers! WOW stunning card and sentiment! love it! thank you for sharing the template also . . . well it’s after midnight on the east coast. . .I am off to see the new stamp set . . .I am all excited LOL ! Another card to love! I’m waiting up to see the new stamp line! This is my first visit, and your blog is so inspiring. LOVE everything. Thanks for sharing your talent…all the way from Australia. Oh wow, this is so quick and easy to make. I have had a little production line going since seeing this post today, you’ve saved my bacon so to speak. I have made so many for Christmas gift card holders, thank you! Wonderful card and new stamp set! Nicole, you keep amazing me with PaperTrey stamps. You are so talented, and I LOVE your design team, (the best of the best, I visit all their individual blogs). Thank you for all the inspiration to create, and sharing your passion. Congratulations on your Third Year Anniversary! I hope it is your best year yet! And thank you for always giving us great products to play with and enjoy!